Imari is a city with a long history, most notable for its pottery. 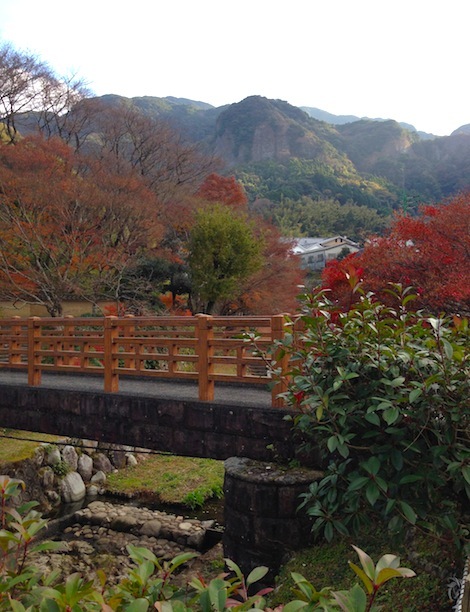 One of the biggest attractions in Imari is Okawachiyama, the hidden pottery village. From Imari Station, it is a short bus ride to the village. One can take many beautiful pictures here and visit various pottery studios. Major events in Imari include October’s Ton Ten Ton festival, pottery festivals in April and November, a wind chime festival in August in Okawachiyama, and a fireworks festival in August. Tachiro Morinaga, the founder of the Morinaga candy company, was born in Imari and there are monuments to him throughout the town. Imari is known for grapes, pears, and beef. There are many yakiniku restaurants throughout the city where one can try the marbled beef. Fruit stands are open along the roads into Imari selling produce from local farmers. While Imari may seem like a sleepy town, several bars and restaurants are must-visits and various revitalization projects have made this city one to watch. The city center has an increasing variety of bars, restaurants, and cafes. Bouillon – a great French restaurant in town with a rotating menu written on a chalkboard around the restaurant. Further to this, Imari is also famous for its beef. Many restaurants in Imari offer Imari beef – you will see the signs for 伊万里牛adorning many restaurants. Imari also boasts a world-class sake – Iwamiya stocks competition winning sake. There is also a particular brand of Sake brewed near Imari that is famous for its connection to the mythical Kappa. Discovered hidden in a sealed box while refurbishing, a Kappa mummy has since been enshrined at the brewery and adorns the boxes and labels of the Sake. Visitors can go along to the Matsuura Brewery and take a tour of the brewery and see the mummy for themselves.